As a follow up to last week's Q&A about finding plants suited for terrariums, here is another mail-order option. Thanks to reader robotguy for the great tip about Glasshouse Works, a supplier out of Stewart, Ohio specializing in items for the home and garden. The website has a great selection of plants specially recommended for terrariums and even offers a combo pack of small plants suited for smaller terrariums. 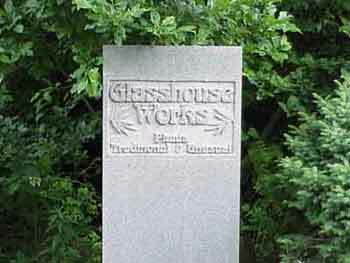 A quick google search led me to Hoot Owl Hollow's blog and a lovely description of a visit to Glasshouse Works and has some photos of the greenhouses on site.